The ceremony gave way to the negotiations in an extended format with the participation of official delegations of the two countries. Shavkat Mirziyoyev, expressing gratitude for the warm welcome and hospitality, pointed out the shared religious and ethical values of our two nations, which serves as the basis for the development of bilateral cooperation in the spirit of mutual trust and respect. The head of our state stressed that the United Arab Emirates created a miracle in the desert within a historically short period of time – fifty years – to become one of the global centers of economy, innovation, trade, finance and tourism, and noted Uzbekistan’s willingness to bolster cooperation and exchange experience in these areas. Mohammed bin Zayed Al Nahyan gave high acclaim to the reforms underway in Uzbekistan to liberalize the economy, improve the investment climate and boost the international standing of the country. Worth reminding that diplomatic relations between Uzbekistan and the UAE were established on 25 October 1992. 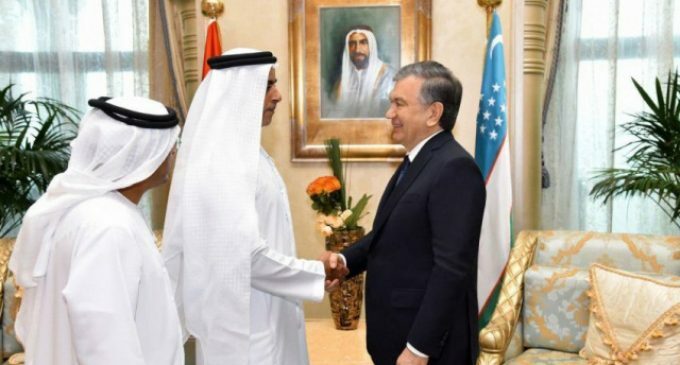 For the first time in the history of bilateral relations, Ambassador Extraordinary and Plenipotentiary of the Republic of Uzbekistan to the United Arab Emirates has been appointed recently. Today, there are 107 enterprises operating in our country with the participation of investments from the Emirates, 28 firms and companies from the UAE have representative offices in Uzbekistan. They specialize mainly in the production of textiles, building materials, canned fruit, in the printing business, wholesale trade, services. In 2018, the trade turnover between our two countries reached nearly 400 million US dollars. Shavkat Mirziyoyev noted that this figure has increased compared to those of previous years, but is hardly sufficient considering the potential of the parties. In this regard, the negotiations helped discuss issues related to the comprehensive expansion of bilateral cooperation, consolidation of practical cooperation in the trade and economic, investment, innovation, banking and financial, cultural-humanitarian as well as other fields. The sides appreciated the outcomes of the third session of the Uzbekistan-UAE Intergovernmental Commission on Trade-Economic and Scientific-Technical Cooperation that took place this March 12 in Tashkent. The Intergovernmental Commission was tasked with raising the volume of mutual trade to 1 billion dollars in the coming years, boosting the supply of goods, implementing joint projects for processing raw materials and manufacturing value-added goods. 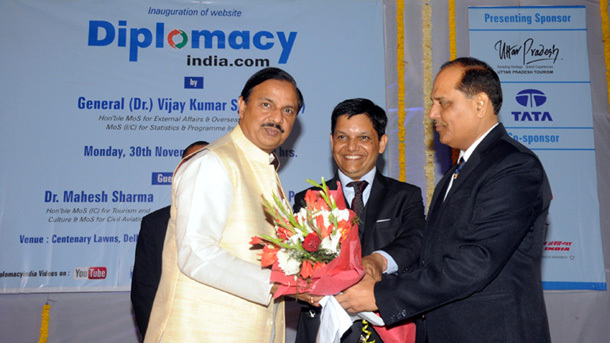 Immense is the potential for cooperation in the field of tourism. The mausoleums of our great ancestors and Uzbekistan’s nature are rather popular with the inhabitants of the Emirates. Last year, the number of tourists from the UAE to our country grew 1.5 times. In accordance with a recently signed decree of the President of Uzbekistan, citizens of the United Arab Emirates can enter our country visa-free. It was noted at the talks that this would contribute not only to the development of tourism, but also to the further intensification of trade-economic, scientific-technical and cultural cooperation between the two nations. Following the talks in an extended format, the sides exchanged the signed bilateral documents in a ceremony.